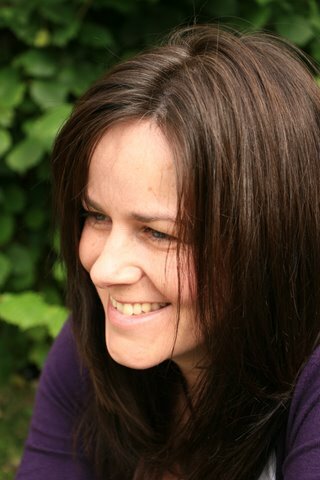 Sarah Ball is author of several novels including Nine Months, Marry Me and Written In The Stars. She lives in Cambridge with her husband and children. She took time out to give us her top writing tips. Love your work. Write what you would enjoy reading yourself, in a style that is natural rather than forced. Thinking, ‘Well, I’ll write a Mills and Boon because I could do with the cash’ will never work. You have to respect your readers, be proud of your genre, and be true to yourself. If you feel good about what you do it will shine through. Be fresh. If you put thought into your descriptions and try to say things in your own, individual way, your writing will take on your personality and hopefully grab your readers’ attention. Cliches are empty words – avoid them like the plague (Gaargh! See how easily they can sneak up on you). Keep notes. Write down everything that comes to mind, no matter how small. If you have a good idea before you fall asleep don’t think you’ll remember it in the morning. Keep a notepad within reach at all times. Use a boxfile to store anything – print outs from the internet, character notes, brainstorms, snippets of conversation that you could use later, etc, etc – to do with your work in progress. Keeping notes together will make life so much simpler and will motivate you to add to them. Have a tidy mind. If you feel your head is cluttered with thoughts on where you want your story to go, different scenes you want to add, plot changes, etc, try writing each one down on a separate piece of paper, then moving them into the order you want them to take place. You don’t have to stick to the order, but getting them on paper where you can see them will help. Similarly, a pocket diary is good for writing down scenes in chronological order to help you remember what’s happened so far and will mean you’re less likely to make continuity errors. Write first, edit later. It’s so tempting to write a chapter then start to fiddle around with it, but don’t! Worrying about the quality of the work you’ve done so far is wasted time and will hinder your confidence. Remember, no-one will be seeing it or judging you until you’re ready. If you wait, you’ll have a much clearer idea of what you need to work on – then you can rework it to your heart’s content with the added confidence and sense of achievement of having written a whole book.